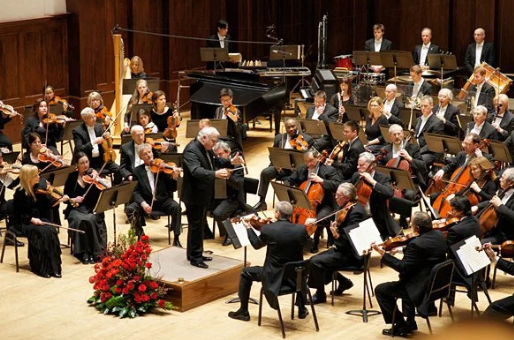 WHY SEE DETROIT SYMPHONY ORCHESTRA – RITE OF SPRING? The ancient rituals and folk-culture of the Russian countryside form the inspiration for Stravinsky’s provocative masterpiece. Infamously the subject of a riot at its 1913 premiere in Paris, the piece, originally composed for the Ballet Russes, has gone on to become one of the most recorded in the classical repertoire. On the evening of May 29, 1913, shocked by the avant-garde nature of the work, the audience of The Theatre des Champs-Elysees had no qualms in loudly voicing their disapproval of the daring new production. Afterwards, the Ballet itself took longer to gain popularity, but when isolated, the score gained traction almost immediately in the concert halls of Europe, ensuring its survival.